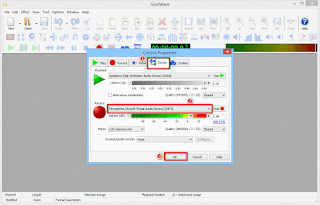 GoldWave is one of the best audio processing programs that have been around the software market for over 10 years now. Its highly-rated history proves that the customers have always been satisfied with the quality it's been bringing out. The program can do almost any audio processing tasks from simple to advanced such as audio restoration, audio recording, audio editing, audio converting, audio enhancing, etc. And, in this page, we'd like to show you how to mix the program recorder with Avsoft Virtual Audio Device (comes with AV Voice Changer Software) to do the voice over tasks. 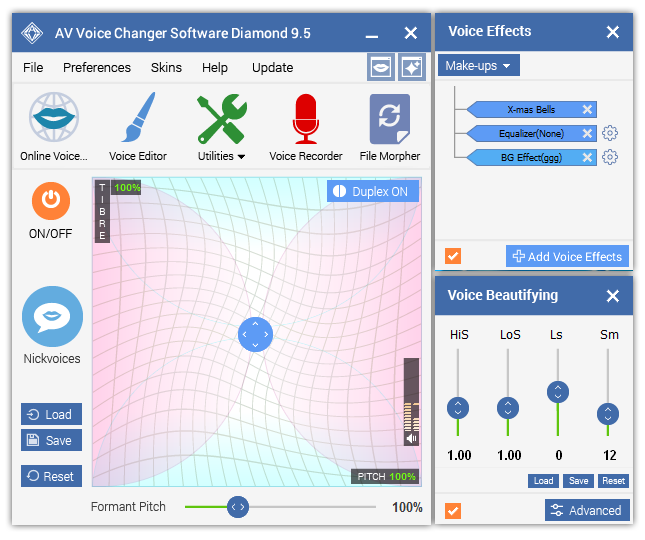 AV Voice Changer Software 9.5 Diamond is now known as the best version of voice changing software from Audio4fun that can give much more natural output than any earlier version ever. 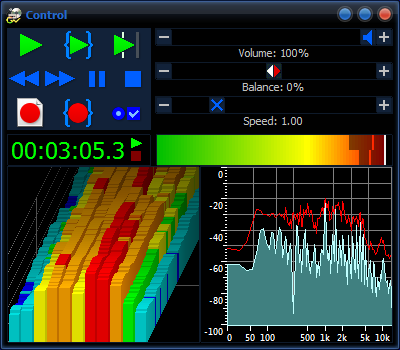 The virtual device (Avsoft Virutual Audio Device) technique allows the program itself to mix up with any audio processing app to morph the audio while recording. 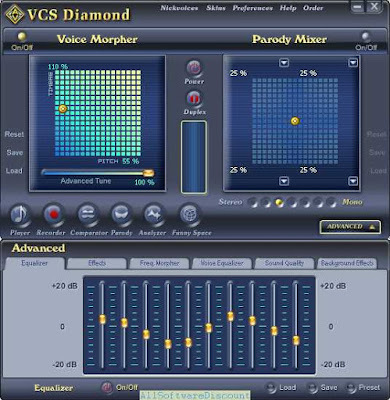 Voice Morpher feature of the program is the key feature to use for changing voice in real-time and over Goldwave's voice over recording. 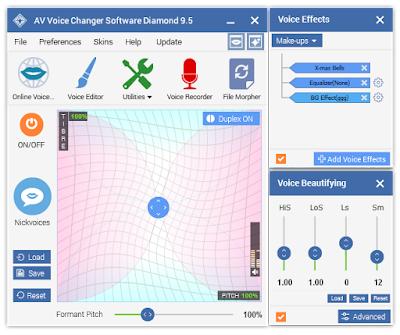 Free download trial version of Voice Changer 9.5 Diamond from here. 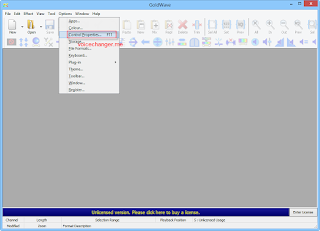 Latest version of Goldwave downloaded & installed. Explore Options menu and select Control Properties (or press F11) to open Control Properties window. Click OK button (3) to apply settings and close the Control properties window. 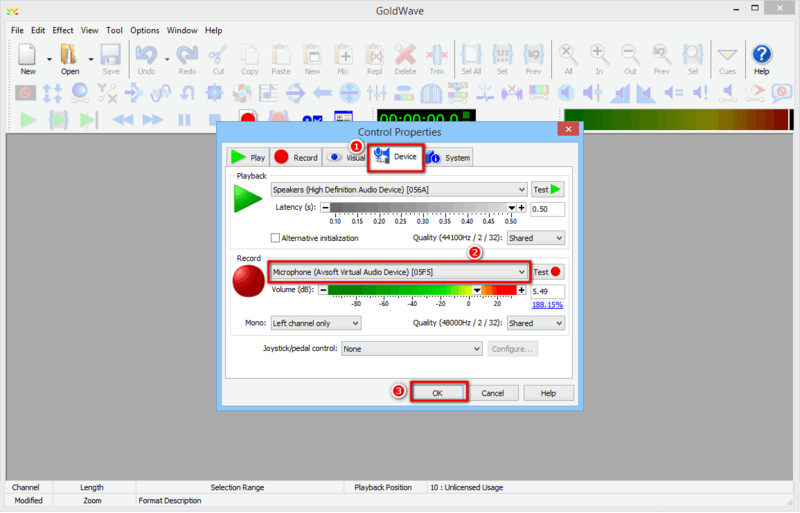 From now on, if you want to have your voice changed while doing voice over in Goldwave recording, you just need to run the AV Voice Changer Software program along with Goldwave program. 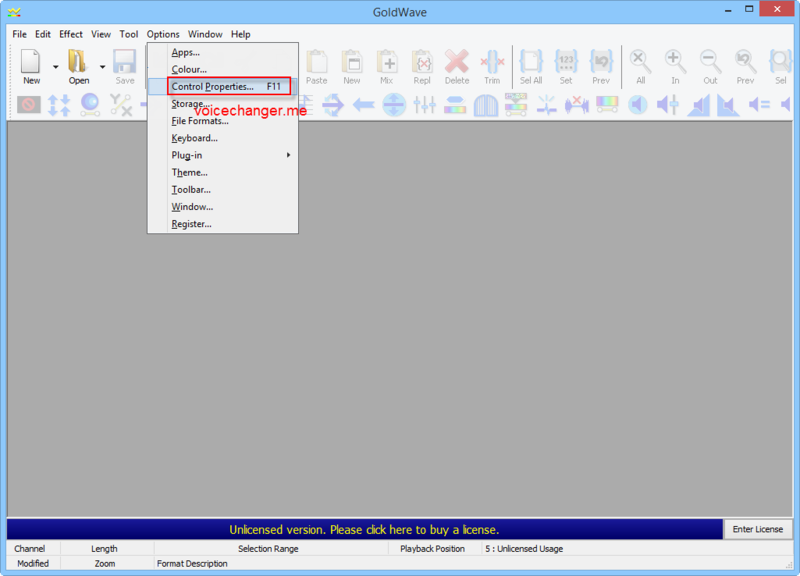 Buy Full version of the GOLDWAVE voice changing program (AV Voice Changer Software 9.5 Diamond) now!